As the proud owner of two gorgeous bunnies, I urge you not to buy a bunny as an Easter present, for a young child, unless you are absolutely sure you want the 10+ commitment. Bunnies aren't 'easy' or 'cheap' pets to have, they are expensive and they need a lot of love and attention. 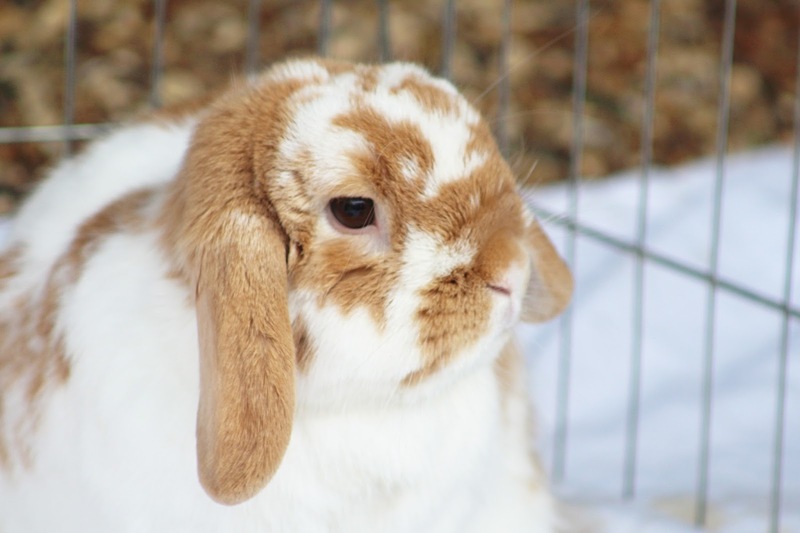 Bailey is my mini lop who's white and ginger, she is the friendliest bunny to humans you have ever met. She loves cuddles and gets grumpy if she doesn't get enough attention throughout the day. She has a couple of toys that are noisy and she's learnt that if she takes them upstairs in her hutch and throws them down the ramp that I will come see her and give her a cuddle or a treat - rabbits are clever animals! Bailey has a tonne of energy and never stops when she's out of her hutch but then there is Buttons. 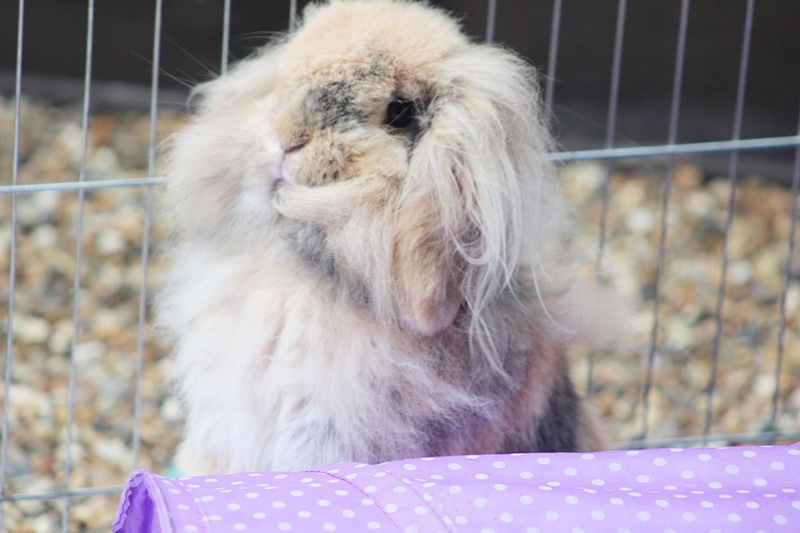 Buttons is a mini lop cross lion head who is ridiculously fluffy. She is a bit of a grumpy rabbit, she doesn't like being picked up, has bitten me a couple of times but when she does want attention it is the cutest thing ever. She is a little bit lazy but a very funny bunny, if she wants something she runs up to me and pulls my hair for attention! She needs the most grooming as she is so fluffy and her fur gets so tangled as it's so long. I have to brush her daily even though she absolutely hates it. I got my bunnies a little over two years ago now and they are from the same litter and are sisters. I was always told that bunnies are better to have in pairs because they are sociable animals so I was excited to have two little fluff balls this time around. Four months after I got them, they had a massive fight and had to be separated as Bailey almost killed Buttons, which means everything now costs me double. Rabbits are fairly expensive anyway but I had to then buy a brand new hutch to keep them separated and anything I now buy, I have to have two of everything. 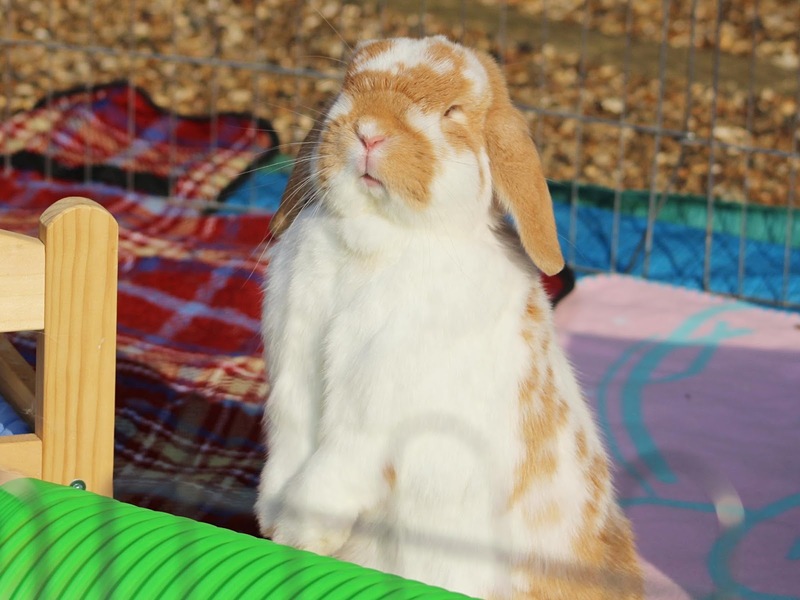 Both of my rabbits are toilet trained so I will clean out their toilets every morning and give their hutches a deep clean once a week, I don't know any children who will be bothered to do this after a while. If you saw how much money I have spent this winter on hay alone, you'd be shocked. Hay isn't just for bedding and keeping them warm, its also their main source of food so I will replace it every day and give them new bunches throughout the day so I do run out of it quickly. Rabbits are classed as 'exotic animals' meaning whenever they have to go to the vets, it's extra expensive. Both of my bunnies have been neutered and that cost me a couple hundred of pounds and in the two years that I have had them, they have both been to the vets a couple of times each. Bailey somehow managed to break one of her toes last year so she had to go the vets but luckily my vet is a rabbit savvy vet and knew exactly what was wrong and that she didn't need x-rays. Buttons seems to have a bit of a sensitive tummy so I have to watch what she eats as she has stopped eating and pooping a couple of times which is deadly to bunnies so she has had to be rushed to the emergency vets for care. I never care how much it costs because I would pay whatever it takes to make sure my bunnies are okay but it is extremely expensive. Bunnies need a tonne of attention and love and luckily for me as I do work part-time, I'm at home a lot to play with them and check on them. 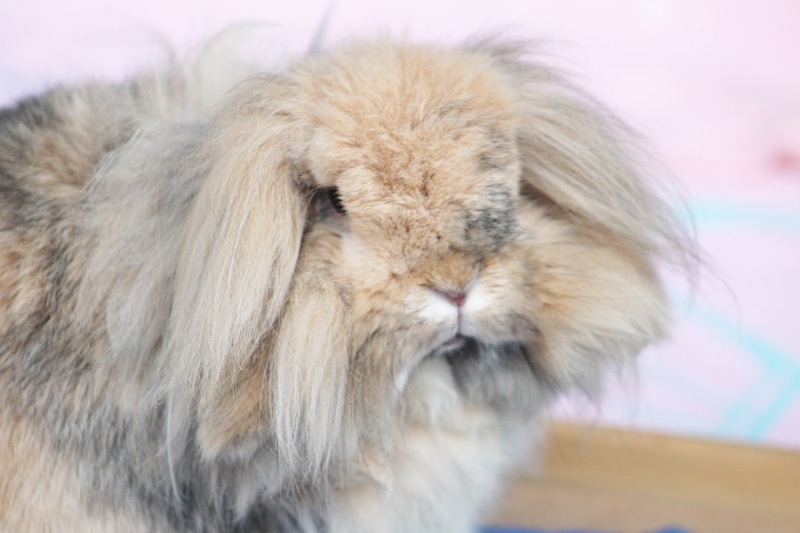 Bunnies ideally need a good couple of hours exercise and are not to be kept in their hutches all day long. My neighbours must think I'm nuts because I'm always in the garden with them while working on blog stuff from my phone. A couple of weeks ago when the beast from the east was happening, I got up at 2 am every single night to reheat the bunnies snugglesafe heat pads to make sure they were warm enough. 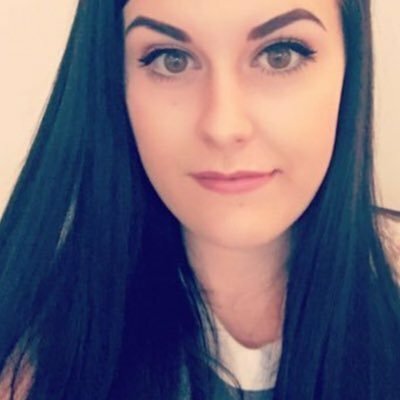 I get up at 5am for work every day, I was knackered for the week but they were toasty! Rabbits are high maintenance, they will pee on your bed, eat your phone chargers, get poopy butts, scare you by sleeping on their backs and look dead but they are so cute and lovable that it's all fine by me. The sad truth is that many bunnies bought as Easter presents will end up in a shelter and bunnies can live anywhere between 8 - 12 years so please consider everything before getting a rabbit.